This prestigious brand is a second-generation family business based in Wales. 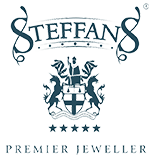 For over 25 years, their growing range of jewellery has captured the hearts and imaginations of jewellery lovers from far and wide. Every piece created contains rare Welsh gold - the Gold of Royalty for over 100 years. Clogau jewellery is seen as an heirloom with both a personal and cultural meaning and a permanent tie to Wales – something valuable to pass down the generations.